Springtime is by far my favorite season of the whole year. The birds, the plants, and all of the wildlife makes photography a blast for me. Singing birds and delightful flowers is what makes Spring so enjoyable! What an amazing time of the year. 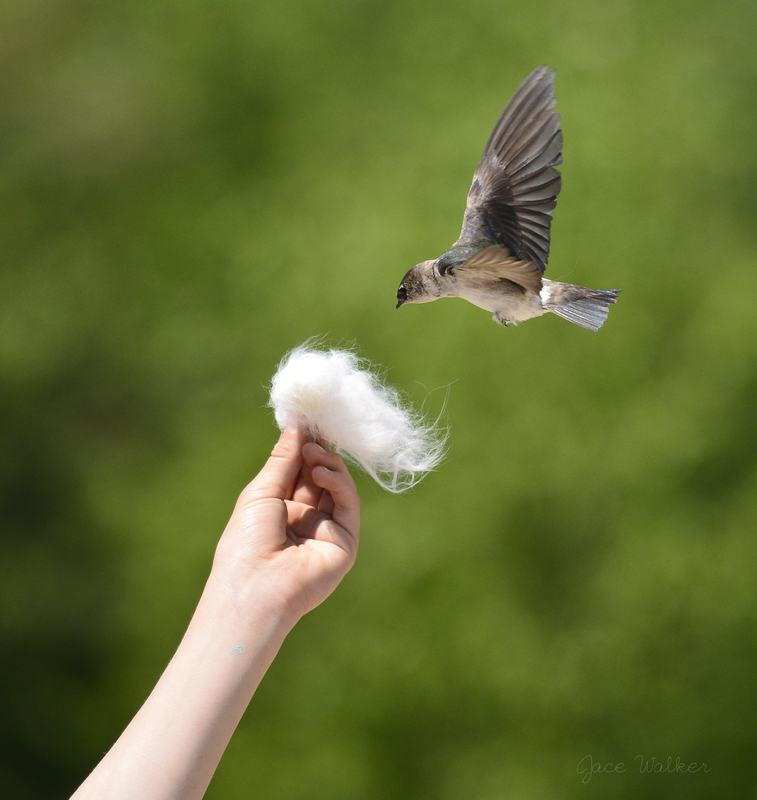 In this photograph, a female Violet-green Swallow accepts our offer to give her a great piece of nesting material. Photo taken on May 8, 2018.